Don’t let your CMM go down for days or weeks just because your probe needs repair. Our popular “Repair by Exchange” program will get your CMM back up and running within 24 hours. You return your defective probe to us and we will send you a remanufactured unit at a price that is a fraction of the cost of new. In fact the RBE price is less than the cost of repair in most cases, without the wait. In addition, RBE’s carry a six month warranty, double that of repairs! We stock TP1S and TP2-5W factory reconditioned Renishaw touch probes. Not all items are listed. If the item you need repaired is not shown please call 800-648-6944. We want to help. These probes have been remanufactured at the Renishaw factory to the latest specifications. They come in packages complete with new manuals, tool kits, calibration certificates and a six month warranty. To order, just call with your probe’s serial number and purchase order number. UPS Next Day Air shipping is available. 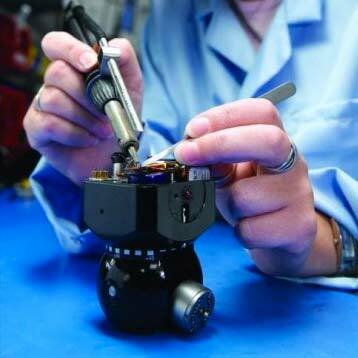 Advance replacement is a Renishaw premium service aimed at minimizing your downtime. This service is only available on products where a Repair By Exchange (RBE) service is offered. Through this service we ship an RBE in advance of receipt of your inoperative product. *A $75.00 charge applies to each advance replacement request for any RBE Items..